Disclosure: This post might contain affiliate links, which means I might get a small commission if you click & buy something that I have recommended. Clicking these links are safe and it'll help me keep this site up and running! Please check my disclaimer policy for more information. Thanks for your support! Every business should want a beautiful website, striking logo with irresistible marketing materials. However some are not always willing to pay professional rates to get them. Small business owners typically run on limited budgets and resources. 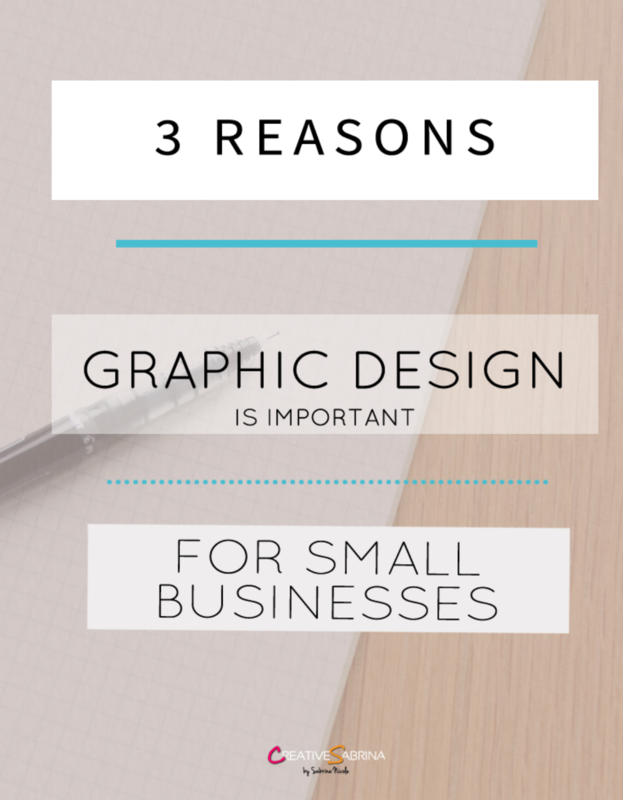 As a business owner you may not think graphics are important to pay for. Some may make the mistake of going with the first cheapest option they find or asking a friend or employer without passable training. Either way, the business owner is probably not going to be happy with the results. You only have one chance to make a first impression. Whether we like to admit it or not, we all judge in one way or another. Even if it’s a website, logo or business cards – consumers will judge a business in just a few seconds simply based on visual appeal alone. Superior graphic design gives businesses credibility. No matter how great a product or service is, with poor design, people could decide instantly that your business isn’t for them. Consistency is key for any aspect of a business, it represents professionalism. This is especially important for new business. People may not know who you are yet. How can they remember you if you have no consistency. A professional designer knows the importance of colours, font and imagery. This impacts mood, feeling and tones and you should want these to reflect your business in the correct way. Customers will then have the same experience visiting a website as they do looking at a business card or reading its flyers. This helps the business become recognisable and memorable. The end result is to have a website that converts, whether it’s a user searching for your phone number or buying an item online. A good looking website is nice, however design isn’t just about making things look pretty. Design should also be effective. An attractive and well designed website can direct visitors to take action like clicking a “buy” or “subscribe” button for example. Professional graphic design has the potential to produce successful results for small businesses. There you have it, 3 key reasons to get your branding in check. Give customers the most amazing first impression, remember who you are and become a potential client. How much do you value graphic design for your business? Let me know in the comments!